Spring 1 sees the return of Reading the Game; an English intervention initiative for reluctant readers which is supported by the Premier League Primary Stars Programme. 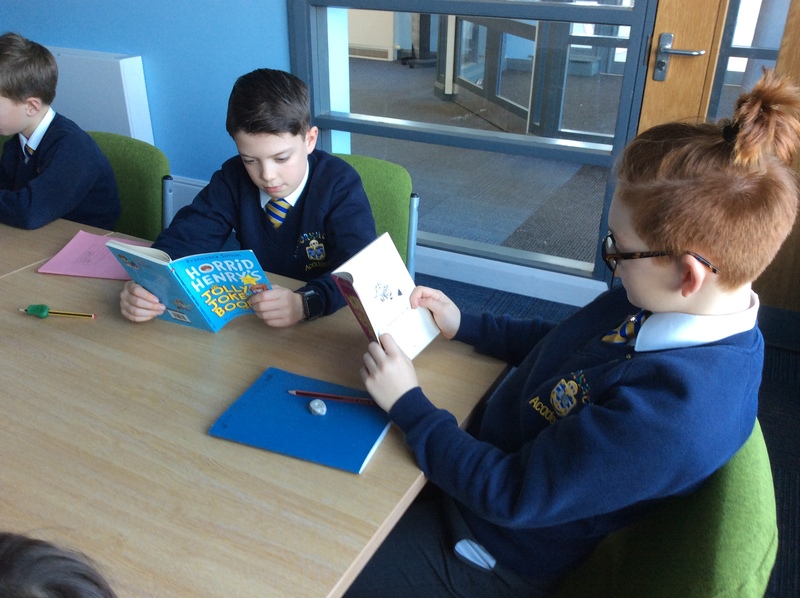 Year 5 pupils from Anchorsholme Primary Academy are receiving twice weekly sessions based around a variety of football related reading platforms. Sessions include looking at magazines, websites, blogs and a group novel in order to raise the pupil’s interest in reading. The initiative is currently being trialled in Anchorsholme Primary Academy with a vision to expand the project within the coming academic year across other schools. Pupils are beginning to understand that reading can be for pleasure and not just for purpose. By using a variety of reading materials, pupils are becoming more engaged in reading. During the session a library style activity is offered to the boys to check out books from the Premier League Book Box, a number of which have made use of this facility. This has meant many of the pupils taking part are now reading more at home as well as in school. The intervention work is already having an impact on the pupils and their reading. Ramsay, one of the pupils taking part in the sessions told us “I’m reading more at home and I have read my Goosebumps books. I’d rather read than go on my PS4”. The initiative will finish with a visit to Anchorsholme Library, where the pupils will be provided with a library card and shown how to borrow the books. Lastly we would like to share these lovely words from the Assistant Head. This entry was posted in Latest News on February 1, 2019 by Lauren Cholmondeley.